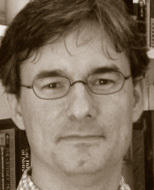 V. Anton Spraul has taught introductory programming and computer science for more than 15 years. This book is a distillation of the techniques he has used and honed over many one-on-one sessions with struggling programers. He is also the author of Computer Science Made Simple (Broadway). V. Anton Spraul explains why it's valuable for to have a basic understanding of the methods used in the everyday software toiling behind the scenes and offers a clear, no-programming explanation of how web-based transactions are kept secure. In this one-of-a-kind webcast, author V. Anton Spraul breaks down some of the ways that programmers solve problems and teaches you how to Think Like a Programmer. "I highly recommend this book to anyone who needs to understand how the software and algorithms that make up important aspects of modern life work, regardless of the reader's prior background." "Thinking Like a Programmer is a brain fitness guide for people who want to code more efficient programs, more complex programs, or who just want to learn how to do a much better job of defining complex problems into much easier to manage thoughts and steps." "I can highly recommend it to anyone wanting to improve their problem solving capabilities. I wish I had had this book when I started studying computer science  the fundamentals contained here would have been a valued addition to the text books teaching syntax and specific technologies." "This is definitely a book that I would use in teaching programming to others...Those teaching computer programming no longer have an excuse for only teaching the students half of what they need to know to be good programmers. They should all now be adding an extra subject to their course to teach the other half using this book as the class text." "The book is universally practical regardless of the programming language you use."